Ski all inclusive in Les arcs : compare ! 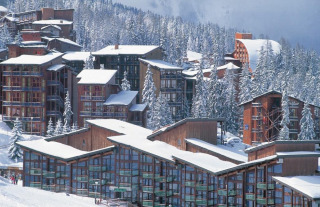 All-inclusive skiing at Les Arcs, Les Arcs ski resorts are renowned for their beautiful snow-covered slopes, après-ski activities and lively areas. You will appreciate the 54 lifts of the ski resorts of Les Arcs that will take you to the highest peaks! Your all inclusive ski holiday in Les Arcs will be punctuated by the discovery of Savoyard traditions, the fresh air of the mountain environment facing Mont Blanc, the atmosphere and the animations in continuous and especially by the fresh powder on the highest peaks of the Paradiski ski area. Les Arcs, a whole of resorts which will adapt to your needs and desires for your all inclusive ski hire in Les Arcs. Ski Express offers thousands of ski resorts all at Les Arcs compared and offers from professional skiing sites. This ensures you get the cheapest prices on the market while enjoying quality services guaranteed by our partners. Mutualize the different offers available in order to save on your lodging, your lift pass, your ski hire and even your meal. In the heart of the Paradiski ski area, you can enjoy over 425 km of cumulated ski runs in the villages and totally different atmospheres for an all inclusive ski holiday in the unforgettable Arcs.